Hold your horses before you jump to conclusions, you guys! The rumoured Bollywood couple, i.e Arjun Kapoor and Malaika Arora seem to be going stronger than ever before, so needn't worry, but there was a pause. Not between them, but it was there all right. Intrigued? We were too! So to break the suspense, what we are talking about here is not the couple, but Bollywood fashion diva Malaika Arora's outfit, though you will have to see it up close to believe it. Good for you, for we got all the deets on the outfit. You can thank us a bit later. Heavy on utility and the wearable factor, the backless blazer featured a streamlined detailing, massive pockets and tie-up details among other things. The other things, so to speak, included a metallic semi-colon just above the pockets. Now that's something different, ain't it? And if that's not a pause, we don't know what is. And of course, not to miss the daring and plunging neckline too, the one we can trust Malaika to pull off with her unparalleled style quotient. 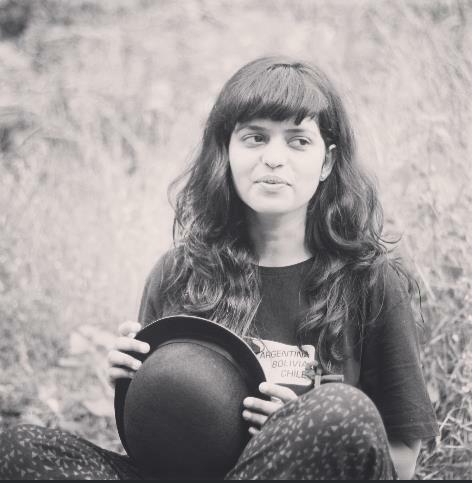 She's a pioneer after all. The cut-out deets of the backless blazer and the wide-legged trousers made for a superb date night combo. Top that with naturally wavy hair, just like Malaika Arora, and you have just the date night outfit you need, perfect as a summerwear option. It wasn't just the Bollywood couple though as mentioned earlier, for the entire OG squad made it to the dinner party. 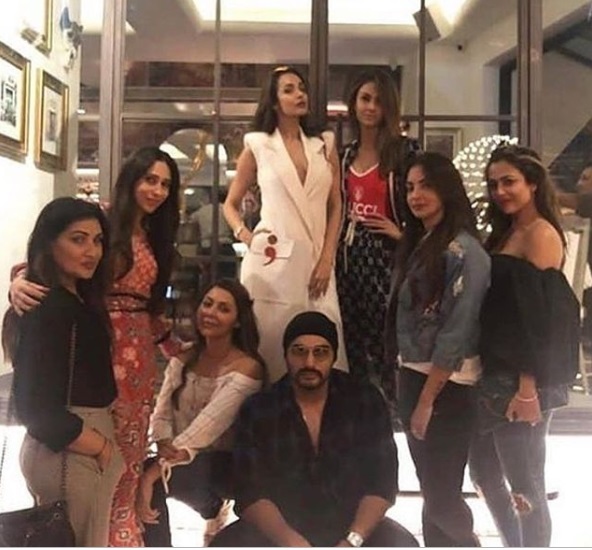 Amrita Arora, Karisma Kapoor, Seema Khan, Gauri Khan, Natasha Poonawala also accompanied Arjun Kapoor and Malaika Arora for what we are guessing was a fun evening. Squad goals? Seems legit to us!